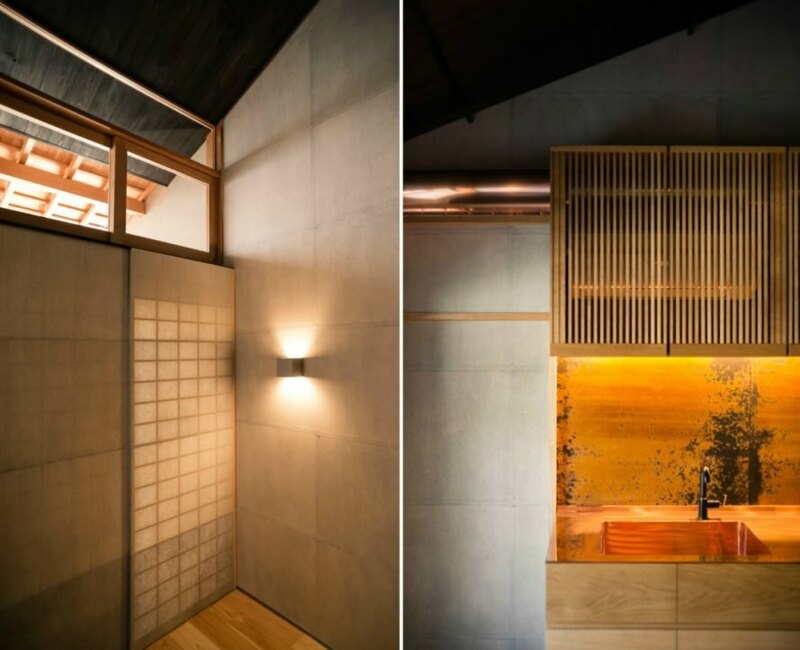 Japanese architecture is known for its minimalist sophistication and this beautiful renovation of a pre-war home in Kyoto is a shining example. Designed by Osaka-based firm, atelier Luke, the renovation process of the Ichijoji House included exposing the beautiful timber beams that were once concealed and conferring with local craftspeople to create design elements that pay homage to the traditional Kyoto vernacular. The home was originally built in 1961, but had become rundown over the years. A Danish-Australian furniture maker purchased the home to convert into a modern living space while maintaining its traditional character. Due to the poor state of the home, the first step was gutting the space while trying to retain the original timber structure. During the renovation process, the team found that many of home’s structural timber elements, such as the large cambered roof beams, had been hidden from sight. The decision was made to leave the beams exposed in order to create a series of wooden sculptural forms that enhance the home’s neutral, minimalist design. To make better use of the space, the layout of the home was reversed from the original layout. The first floor would now house the private spaces while the living area was installed upstairs, reached by a timber ladder. What was once the ground floor kitchen was converted into a beautiful traditional Japanese bedroom, complete with tatami mats, shoji screens, and handmade wallpaper. An extension was added to back of the home in order to make room for indoor plumbing system for the new bathroom and kitchen. The space was also built out to create a peaceful screened-in courtyard reached through a series of sliding timber doors and paper screens. 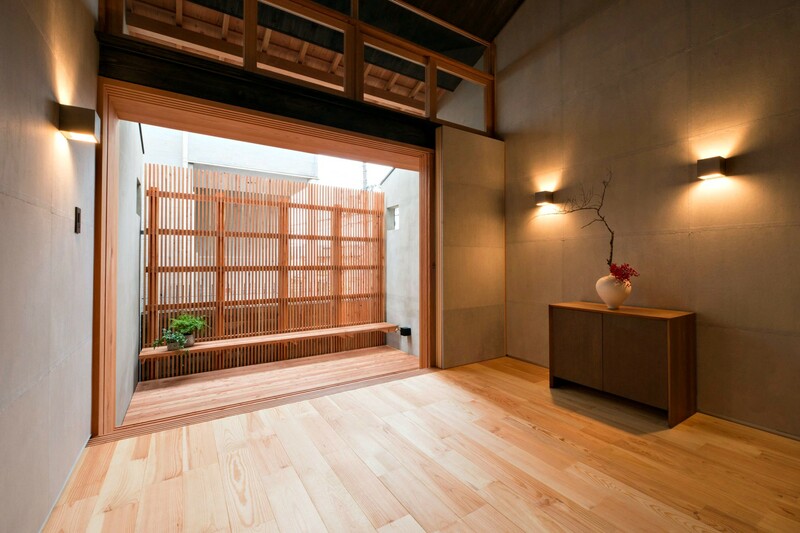 As for the interior design, the design team went to local craftspeople from Kyoto, as well as Osaka and Nagano to create a traditional atmosphere. Most of the decorative or functional elements such as the stained wallpaper, lacquered flooring, and timber joinery were either hand crafted or finished using traditional techniques. 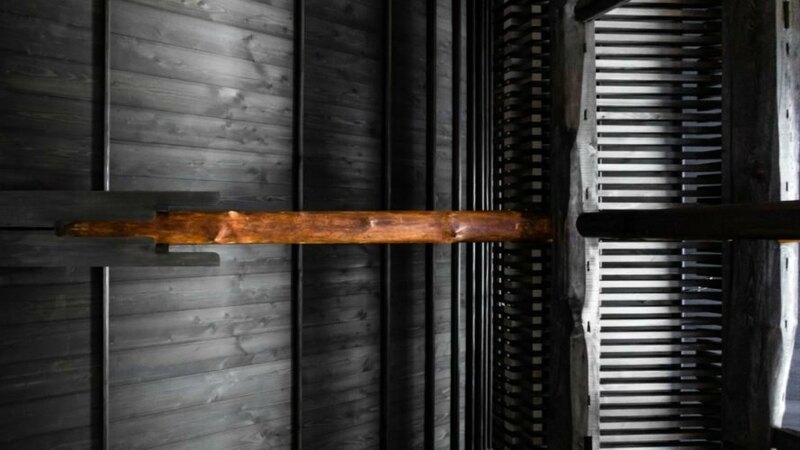 Bespoke furniture pieces including various cabinets and the “floating” dining table were made out of Japanese oak. The home was originally built in 1961, but had become rundown over the years. A Danish-Australian furniture maker purchased the home to convert into a modern living space while maintaining its traditional character. 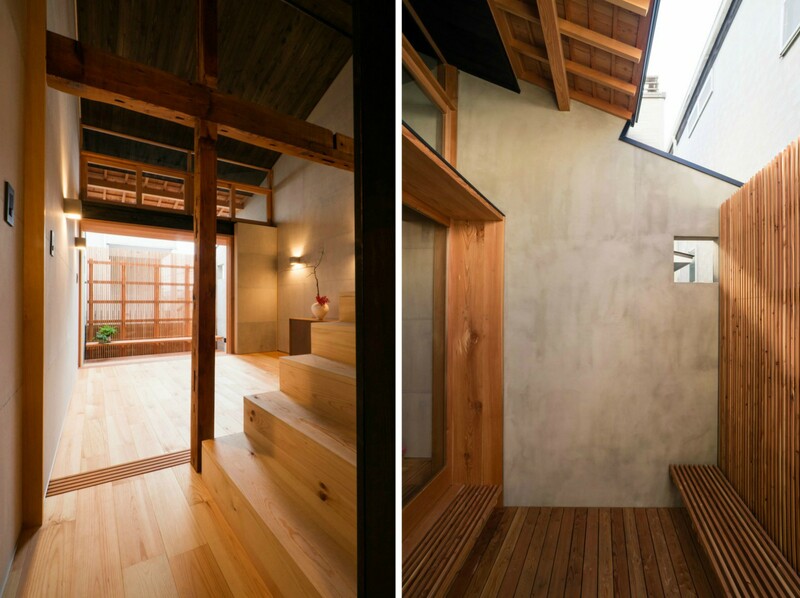 The home was renovated to reflect the traditional vernacular of Kyoto. Due to the poor state of the home, the first step was gutting the space while trying to retain the original timber structure. During the renovation process, the team found that many of home's structural timber elements, such as the large cambered roof beams, had been hidden from sight. The decision was made to leave the beams exposed in order to create a series of wooden sculptural forms that enhance the home's neutral, minimalist design. To make better use of the space, the layout of the home was reversed. An extension was added to back of the home in order to make room for indoor plumbing system for the new bathroom and kitchen.